Use them yourself or get it as a gift for a friend or family member! All you need to do to win is like our page, share this post & then comment on the post when you’ve done it! Winner will be selected at random on Sunday 21st April! 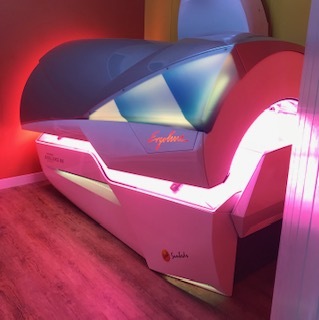 Choose from lie down or stand up tanning booths to get your tan in the way that suits you best. All our beds offer the option to play your own music, they have cooling fans and of course our legendary staff friendliness will make sure you have a wonderful experience. When you have a special date or event and you’re feeling a little pale, then a spray tan offers a quick solution to achieving a wonderful glow. Call us on 01543 578375 to book your CRAZY ANGEL spray tan now. In addition to tanning take the opportunity to buy our selection of tanning accelerators which are the best quality. If you purchase a large bottle then you can leave it with us so you don’t have to carry it around on each visit. Perfect for those first time angels looking to earn their wings with fast flawless results. The Crazy Angel Spray Tan Treatment is the quickest way to get a professional finish. We also sell Crazy Angel self tanning lotions so you can keep up the good work at home. Our goal is to help customers achieve a healthy, responsible tan in our immaculate and friendly shop. 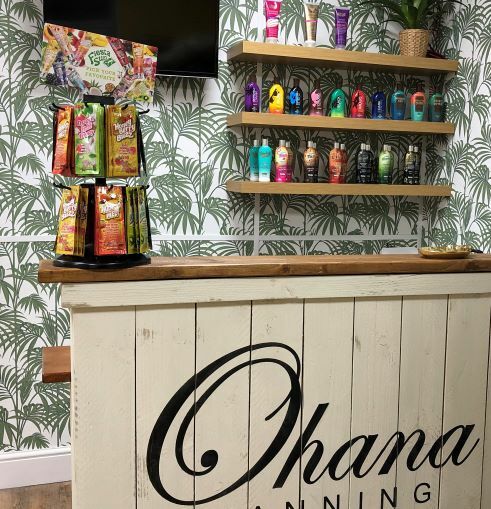 Ohana Tanning promotes responsible tanning, our staff are trained to provide educated recommendations for the best tanning results. 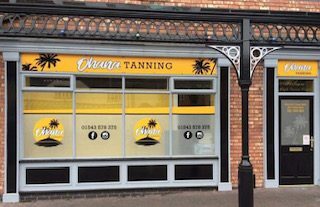 Our sun beds are maintained to the highest standards, checked and sanitised after every use. Should you wish to clean your own sun bed cleaning disinfectant and tissue is supplied in all our tanning rooms. There is a 48 hour minimim time between sessions.